Yesterday, 18th Sept, was the one year anniversary of the murder of Pavlos Fyssas. Pavlos, also known as Killah P, was an an active antifascist rapper from Athens who was stabbed by Giorgos Roupakias (a member of Greek Neo-Nazi Party Golden Dawn). His death sparked angry demonstrations across Greece and Europe. 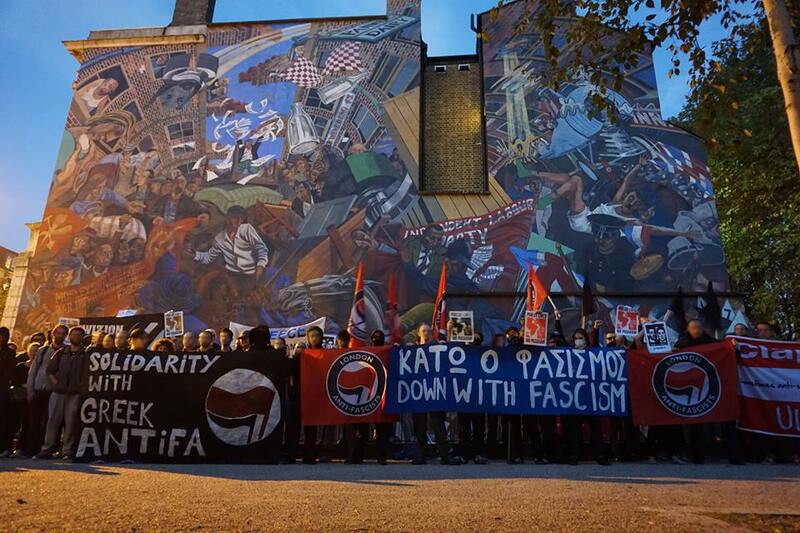 Yesterday was called as a day of international solidarity with the Antifascist Struggle, and in remembrance of Killah P. Two local AFN groups held events, London and Brighton. There was impressive shows of solidarity across Europe, with hundreds of demos, rallies and banner drops. UKAktion has done a more comprehensive roundup here. If you missed the memorial in London, and want a more concrete way to oppose fascism, tomorrow (20th Sept), there is an antifascist demo outside Downing St opposing an EDL march. The UAF are calling for people to gather opposite Downing St at 11am. See you on the streets!